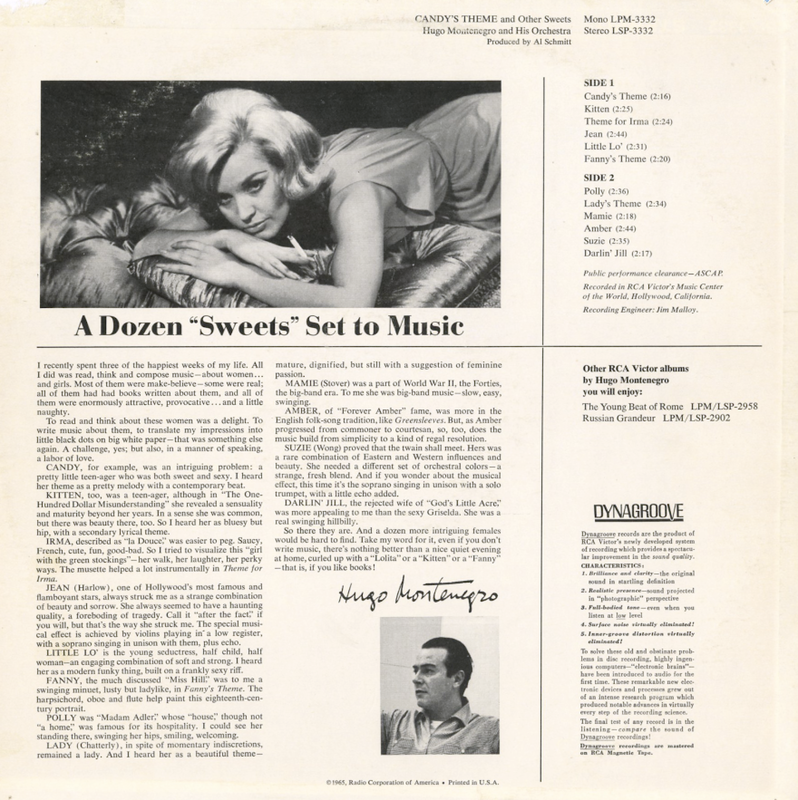 From Billboard - March 20, 1965: Beautiful interpretative music by Montenegro. The instrumentation is posh and elegant with ethereal voices sweeping in and out. Montenegro give a musical insight and his impressions of some meaningful first names as "Jean" (Harlow), "Suzie" (Wong), "Polly" (Adler), "Lady" (Chatterly). Hats Off - The Mariachi Brass!